Your brows furrow in wonder. You check your watch, you see you were right on time. You check the station’s clock, and it’s the same. Still… There’s no train right in front of you. 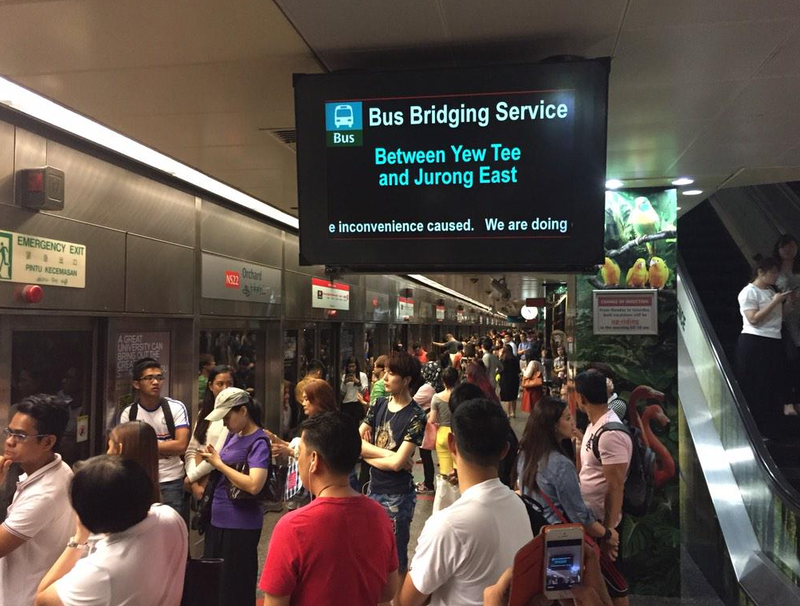 You’ve heard about SMRT’s service disruptions happening lately, and you may have experienced it yourself. You would think that what was once a convenient, quick, and not to mention, affordable way to get to your destination, now it turned into a chaotic and irate mess. Seas of passengers flooding the stations, waiting along and withstanding hour-long rides to get to another stop that’s just one stop away; venting to SMRT operators and at each other. Like you yesterday, I basically just gave up. I couldn’t wait another five minutes standing there with much uncertainty over when they could possibly start operating in a proper manner again. I couldn’t bare the thought of the possibility of getting stuck in the train due to delays. I immediately thought of other modes of transportation I could use. So what else could I have possibly done? I whipped out my phone and checked Grab and Uber. I know. You’re probably not surprised at how I didn’t book any car since the prices were soaring beyond my daily budget. Cabs weren’t an option either. So I thought of another alternative – the SMRT bus (which was what everyone thought of, too). I had to face the fact that I was going to be late regardless, and decided to withstand the long queues. Eventually, I got to take my turn and took a seat next to the window. What was a forty-minute train ride, an additional twenty was added just for me to get to downtown. But as I sat back, already stressed out at how my morning was going, I couldn’t help but empathize with my fellow commuters who ranted their concerns over social media. I can only hope these “faulty track points” be fixed soon – and fast!